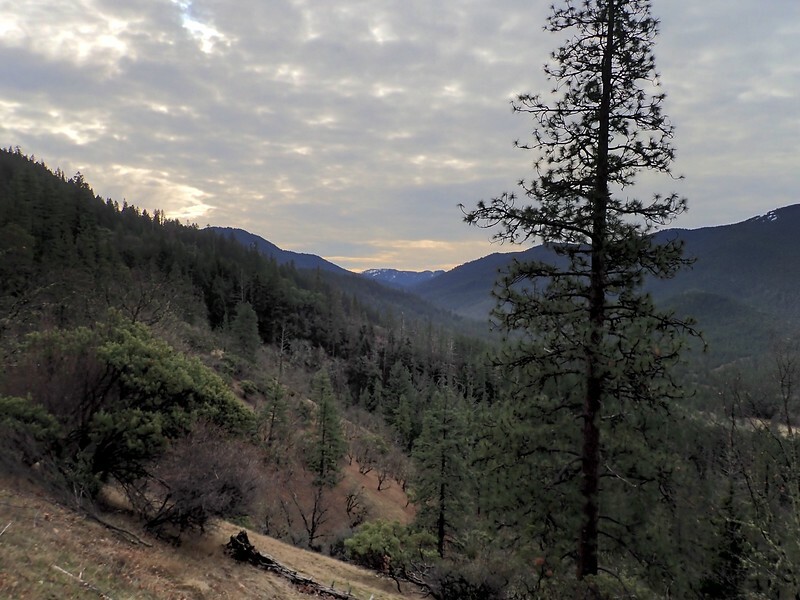 In March of 2017, our search for a new (to us) low-altitude hike brought us to the Layton Mine Ditch Trail, recently restored through the efforts of the Bureau of Land Management (BLM) and the Williams Community Forest Project. At that time we did the 6-mile (roundtrip) hike north from Panther Gap along the remains of the ditch to the Chinese Wall – one of Williams’ most famous architectural structures. 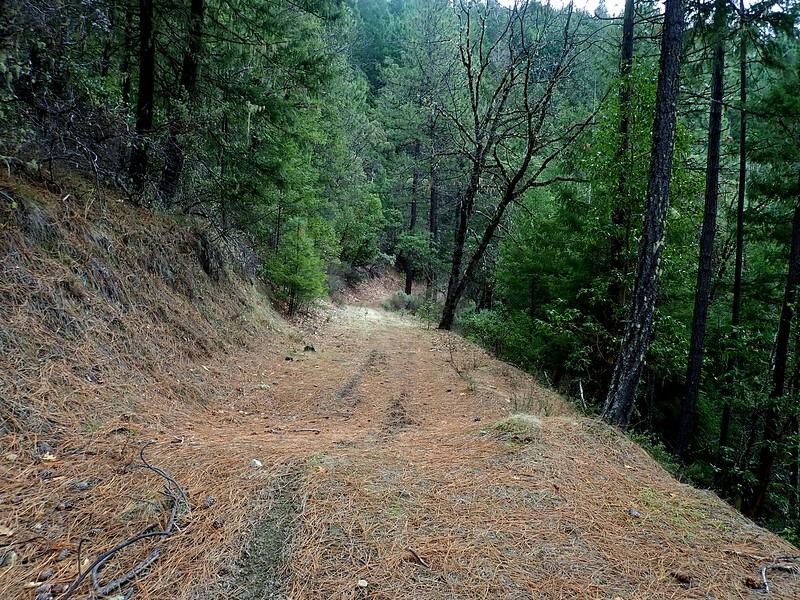 Although it is still a work in progress, I recently learned from the project’s Cheryl Bruner that the trail has been largely restored for the 7 miles south from Panther Gap to the ditch’s end at the head of the East Fork of Williams Creek. So, after waiting out some harsh weather and an even harsher bout with the flu, I finally got the chance to explore this part of the ditch trail. The LovedOne, still recovering from her flu experience, and behind on her library volunteerism, decided to take a pass on this one. 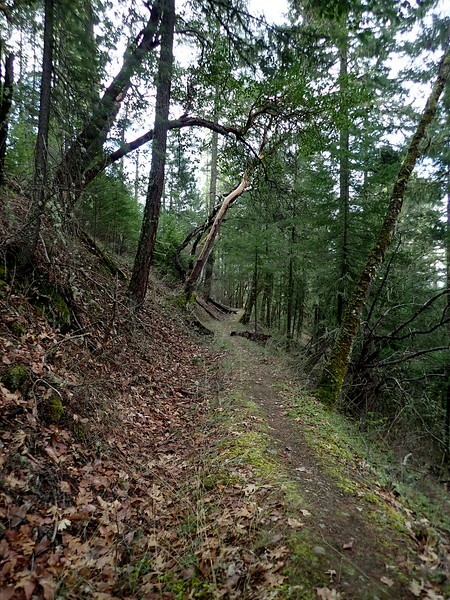 The ditch trail will eventually have several trailheads but, at present, the most accessible one is on the Panther Gulch Road. 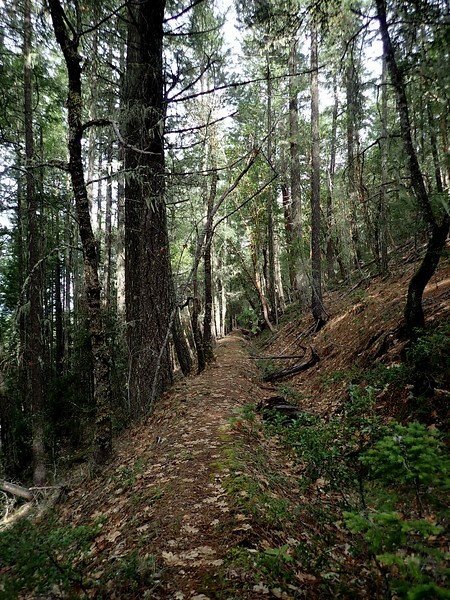 From Highway 238 south of Grants Pass, Oregon, go south on the Williams Highway to Williams, then south on East Fork Road to a left (east) turn on to Panther Gulch Road (Bureau of Land Management (BLM) Road 39-5-2). Going east on Panther Gulch for 2.3 miles (paved, then good gravel) brings you to a T-junction where you can park – there’s no trailhead per se (and no amenities). The ditch trail – whether you’re going north or south – starts just down Panther Gap Road from this T-junction. There is an information plaque at the start of the trail going north and a small carsonite sign to mark where it starts south. 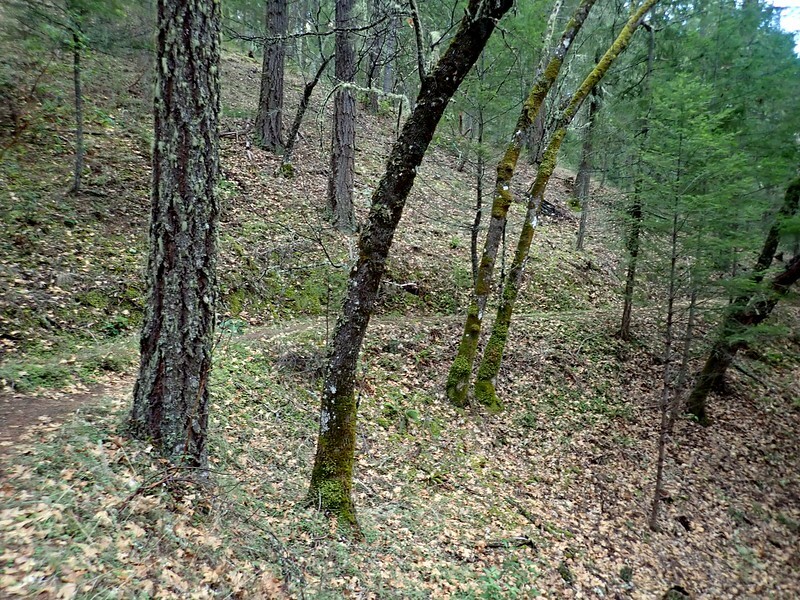 J. T. Layton’s mine (the first hydraulic mine in Southern Oregon) in Ferris Gulch on the other side of the ridge from Williams, Oregon was, by the early 1870s, productive enough to justify digging a second 21-mile long ditch from Williams Creek to the mine. This was accomplished between 1874 and 1877. Even after 140 years, the ditch is still clearly visible alongside the trail originally used to maintain it. The ditch was graded at about 14 feet per mile (0.5 inches per rod), so I hardly noticed I was hiking “uphill” as I went south toward its source. 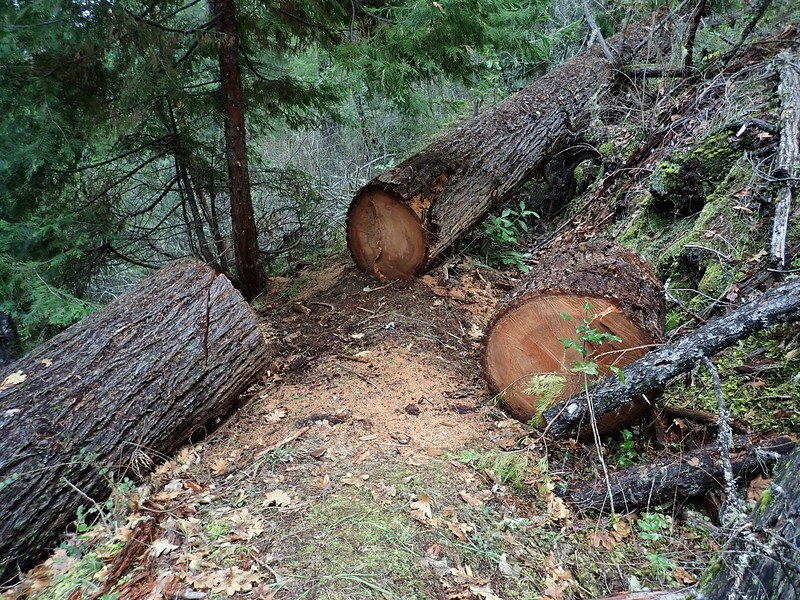 In about a mile, the ditch is cut by BLM Road 39-5-2 and I had to negotiate a slope before picking up the trail again. Carsonite (fiberglass) signs and a trailhead kiosk will eventually be placed here. After crossing the road, I continued along the ditch. 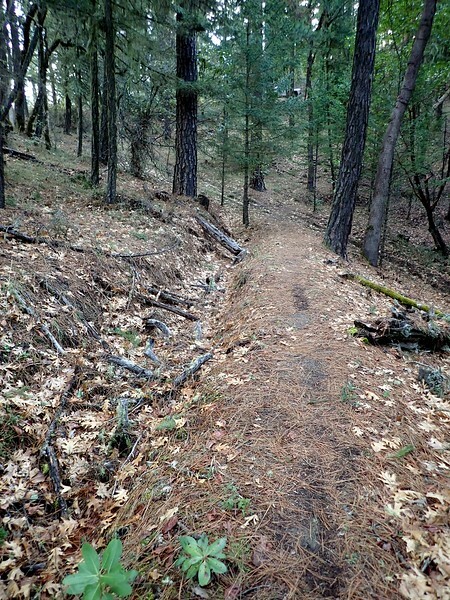 At 1.6 miles, the ditch has been obliterated by a combination of natural erosion and road-building, so a trail has been built down and around this lost section. After a little less than a mile, I got back to the ditch, where there was clear evidence of the hard work being done to restore the trail. At 3.8 miles I passed another future sign site (and crossed an eroding motorcycle rut running straight up the ridge) and continued south along the west side of the ridge. 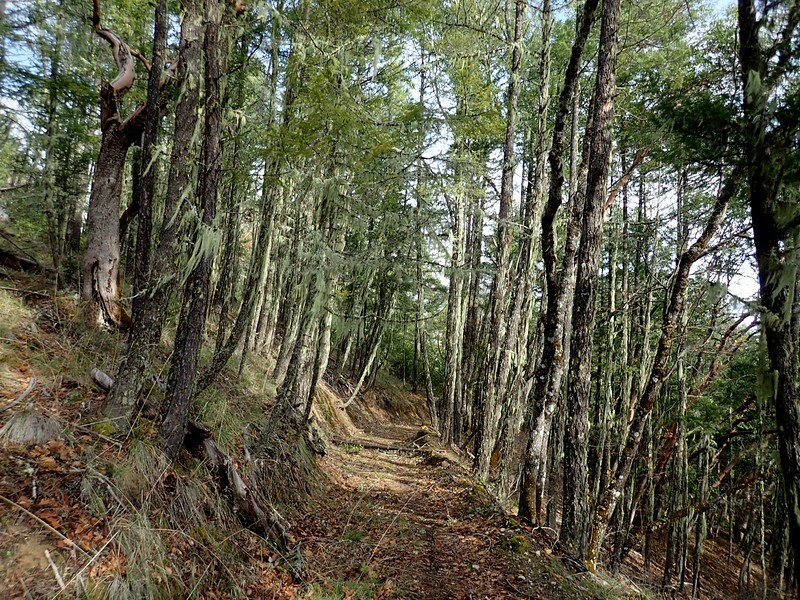 This is the one of the few places where this trail offers a view of anything other than itself and forest. It had been clear and sunny early on, but as the day progressed, a milky white cloud layer started to intrude. From here south, there was still much of the ditch intact but sections of it had been obliterated by old roads so, for some short distances, these old roads became the trail. At 5.5 miles from Pather Gap, I passed a gravel road (BLM 39-5-14.2) coming up from the northwest. At some point in the future, a trailhead and a kiosk will be placed along it and its connector road (BLM 39-5-23.1). These stretches of old road did, occasionally, afford me a view of Big Sugarloaf Peak to the south. In it’s last mile, the trail is unimpacted by roads and runs alongside a still evident ditch, just like it did back in the day. 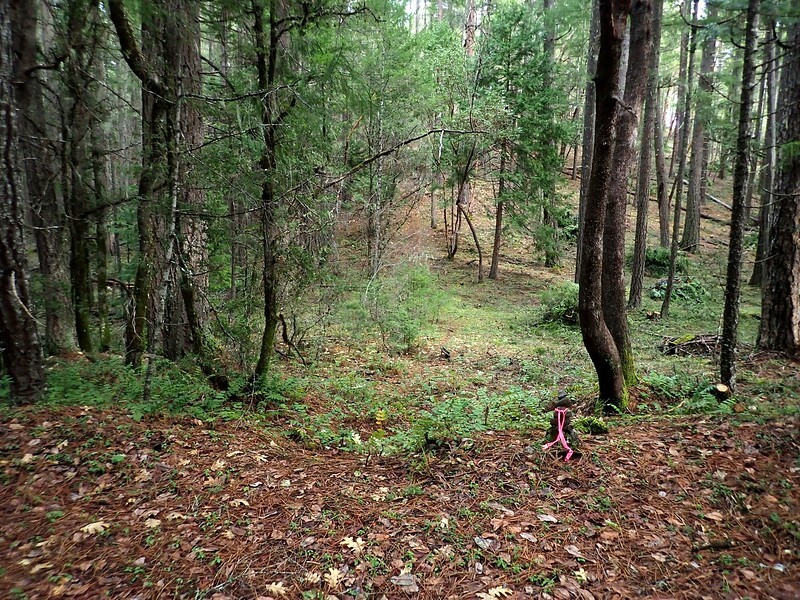 And, then, the ditch just ended, on a slope where forest thinning was obviously in progress. At first I thought the ditch had been lost to another road (no), natural erosion (no), or the thinning project (no). So what happened to it? And where was its water source? 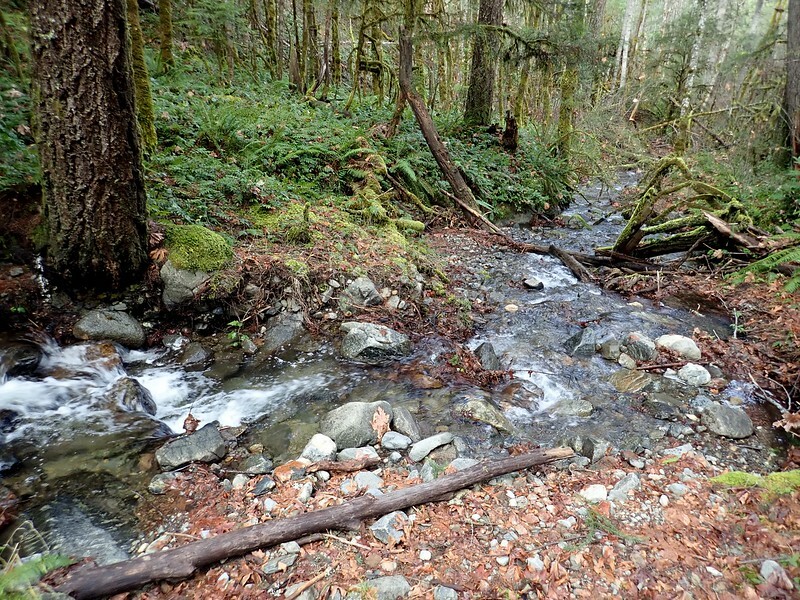 I could hear the East Fork of Williams Creek gurgling away some 200 feet below the end of the ditch. I went down to take a look at the creek while pondering this conundrum. Because the Layton Mine had been one of the successful (of which there were few) hydraulic mines in Southern Oregon, it got noticed in some of the mining periodicals of its day. It took some research but I found an article in Mineral Wealth (March 15, 1904) which explained how the ditch worked: “This ditch…takes up the water from the east fork… It…has an inverted siphon of 600 feet length over the Williams creek divide, the first siphon introduced into the country.” So, they captured water up on the East Fork (called the Pipe Fork higher up), dropped it down into the drainage through an inverted siphon (made from 36-inch diameter cast iron pipe), which then shoved it up the other side of the drainage to the end of the ditch. Inverted siphons (today they are called “sag pipes”) date from Roman times and were popular for conveying water to hydraulic mines at the end of the 19th and start of the 20th Centuries. 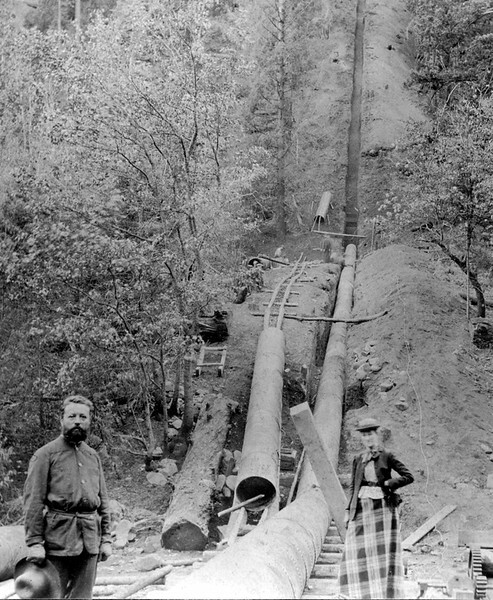 I couldn’t find any record of what the Layton siphon looked like, but I’m guessing it looked a lot like the one used by the La Grange Mine in Trinity County, California in the early 1900s. I poked around some looking for old pipe but none was evident. That much 36-inch pipe was valuable and probably got re-purposed sometime in the last 100 years or so (or succumbed to a WW2 scrap metal drive). The headworks at the ditch end are gone but there’s always a chance that some evidence of such is still present up the Pipe Fork. 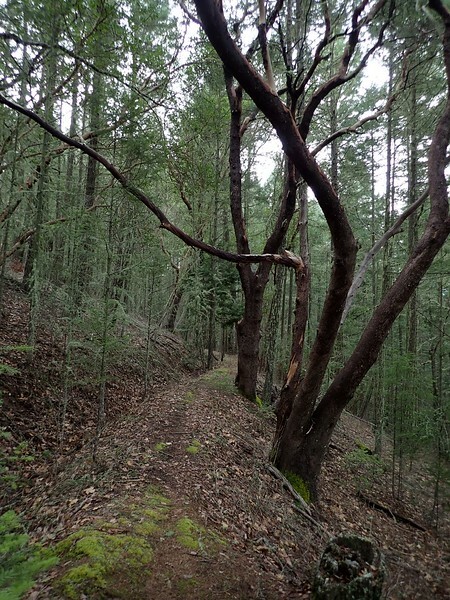 The hike along the ditch was 7.3 miles with 500 feet of elevation gain. I took a different way back to make a loop, so the whole hike was 14 miles with 1,300 feet of elevation gain. 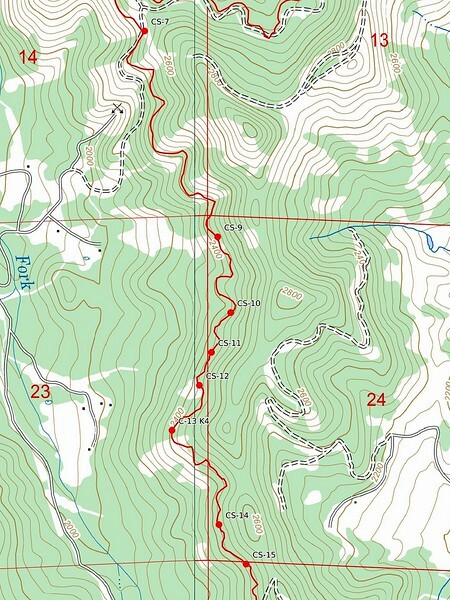 A pleasant, long, leg-stretching hike on a pretty nice day (with no ticks! ); one that provided an opportunity to connect with some of Southern Oregon’s mining history. 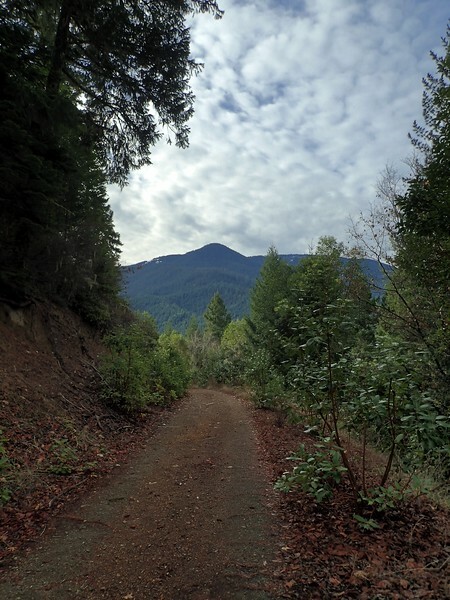 When all of the carsonite signs, information kiosks, and tailheads are in place, hikers, mountain bikers, and equestrians will be able to sample interesting sections of the ditch trail without having to commit to a 14-mile round trip! 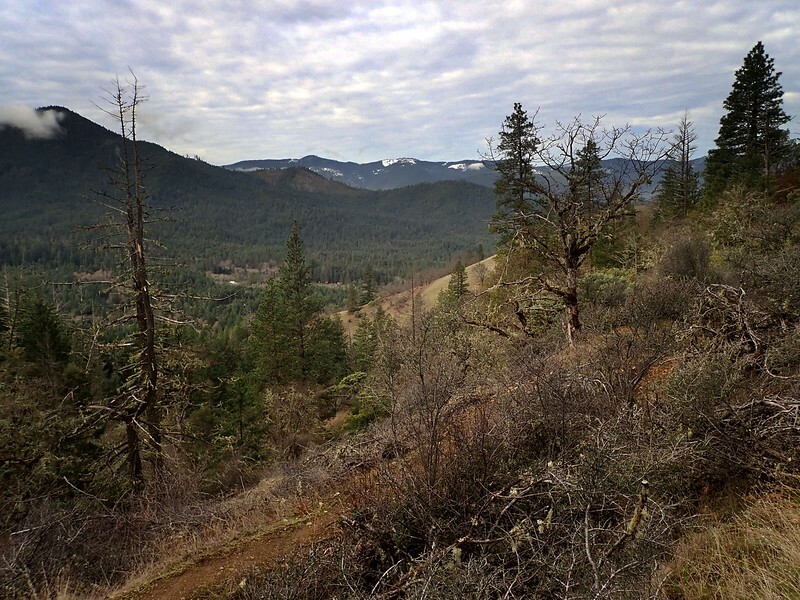 Another new trail in the area……my list grows again! Thanks so much! I’ll try this one next week but I’ll stick to the ditch, unlike you I think I’d get lost trying to make a loop. My hike was more of a lollipop than a loop. I went to the end of the ditch, then came back along the ditch trail to CS-7 but stayed on the old road to the top of the ridge – this is the end of BLM Road 39-5-2. 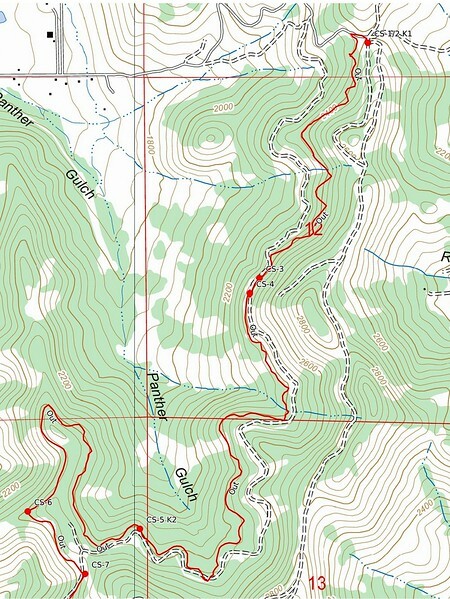 From there, I went cross-country east up the ridge – open terrain and a bit of a use/hunter’s trail – to the end of BLM Road 39-5-1.1, then walked along it back to Panther Gap Road. 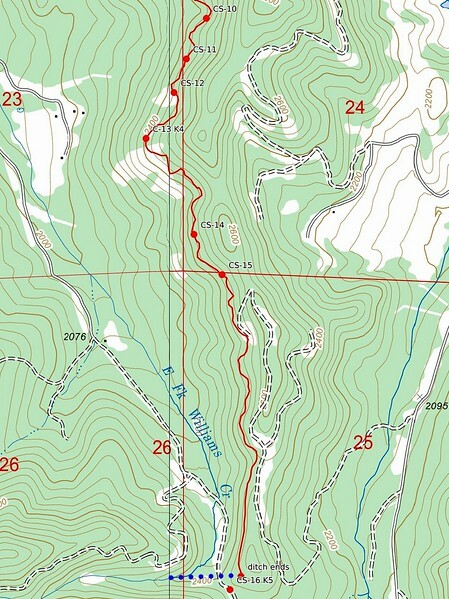 Because of the maze of old unmapped roads up there and the intrusions private land, I think making a true loop out of this hike might not be possible.